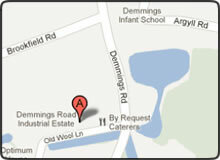 Cheshire Accident Management have a purpose-built accident repair centre in Cheadle, Cheshire. With state-of-the-art equipment and fully qualified technicians able to repair all makes and models of cars and vans to unrivalled standards. CAM are a well established local company with a reputation for high quality workmanship and fantastic customer service having been in the industry for over 25 years. All accident repair estimates are prepared using Thatcham's estimating and methods system ensuring that all quotations are compatible with insurance industry guidelines and repair times. Using Thatcham's E-scribe repair methods all accident repairs are carried out to manufacturer's specifications and requirements. For more information call 0161 428 7660 or get an accident repair estimate online. Cheshire Accident Management are insurance specialists for accident repairs in Cheadle, Stockport and Cheshire. In association with Concept Legal Expenses we could help with all aspects of your accident claim including getting your excess back, compensation, courtesy cars and of course the swift repair of your vehicle. CAM provide a first-class accident repair service and all car body repairs are undertaken and completed by time served qualified body repair technicians. For your complete assurance all our work is completed to industry standards and is fully guaranteed. Our competitive bodyshop prices, excellent customer relations and experienced team will ensure that we provide hassle free accident repairs. For more information call 0161 428 7660 or get an car accident repair estimate online.